Simplicity and speed. That is what Nespresso is known for. The Nespresso brand was founded by the Nestlé company in 1976 and has never looked back. You know how when you wake up in the morning and hit the snooze button on your alarm four times? Yeah, the Pixie was made for you. It is built with a snap, shut, and brew method that allows you to create quality espresso in only 25 seconds. That is not all it has to offer though. Check out our Nespresso Pixie Espresso Maker Chrome Review. The Pixie was made for the ‘must be quick’ and ‘on the go’ individual. So basically, it was made for everyone. We all have times when we are in a hurry. Sometimes we are just too polite to tell our chatterbox co-worker that you need a coffee and they need to take a breath or you might just go insane. You know the type. This machine will look like gold sitting on your countertop or in your office. The best part, no one will ever think you got it for under $200. Let’s look at some more that the Pixie Espresso Maker Chrome wants to offer you. Auto Power Off System: Yes, after 9 minutes. Indicator Lights/Buttons: On/off power buttons and lights. If you really wanted to, you could put this machine with you in the front seat of your vehicle and take it with you everywhere. It is that light and compact! Nespresso believes in making everything easy for you. That is why the machine uses coffee pods that are perfectly crafted to allow the machine to extract maximum flavor. Who knows how the machine works better than the makers? No one. So we definitely trust them to bring us the quality grounds. 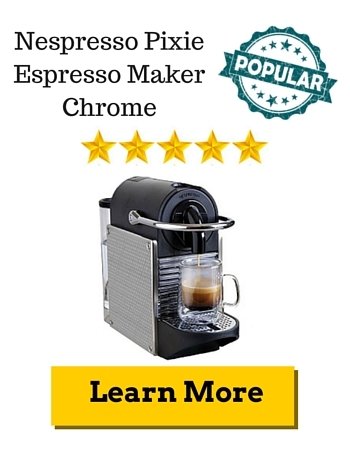 Amazon Rating: The Pixie Espresso Maker Chrome is a beacon of all quality. 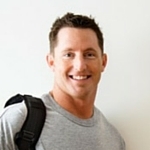 It maintains a 4.9 out of 5 star rating and has received ZERO 3, 2, or even 1 star reviews. Espresso dreamers like you and us agree, this machine is something to write about. Here is what is being said. “Superior construction and quality beverage. I bought one for my office and had to get another for my house. The Pixie is made in Switzerland, unlike most. The quality is superb and I love how tiny it is and how quickly it dispenses.” Nespresso is not like other single serve coffee brands that make subpar versions of coffee beverages. The espresso tastes great and has perfect crema. While this makes espresso and lungo, you can get the style that makes American coffee. It is perfect for home and office! If you have been searching for a new machine for a while, you know that ratings like this are hard to come by. We love it! Just like reviewers we recommend using the Nespresso Grand Cru coffee capsules because they will also create an incredibly rich crema. If you are looking for a product just like this at a similar price, you are not going to find it within a different brand. This is where Nespresso is amazing! So amazing in fact, other companies appear to not even be trying. Nespresso’s comparable models include the entire Vertuoline. Take a look to see if the differences might be more your drink. 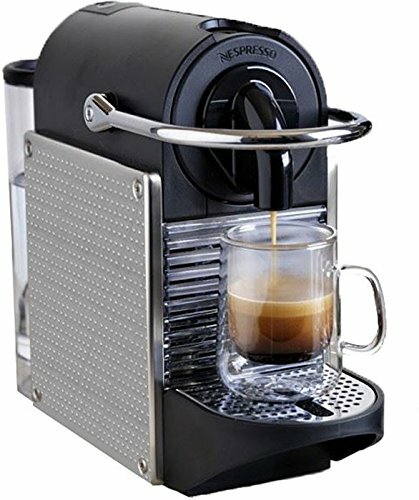 The Nespresso Pixie Espresso Maker Chrome is styling in its modern design. It has coffee that has been flawlessly created for this machine. You can be sure that its speed, durability, and (more importantly) quality of brew is going to be more than you expect. Machines like this are not commonly priced under $200. Take your shot at becoming a home barista, you can thank us in a few years when this machine is still delivering.